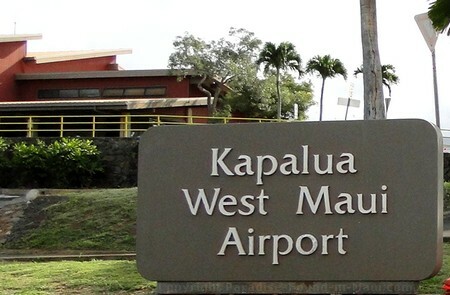 For anyone staying in West Maui, Kapalua Airport is far more conveniently located than the next nearest Maui airport in Kahului. Kapalua Airport (a.k.a. 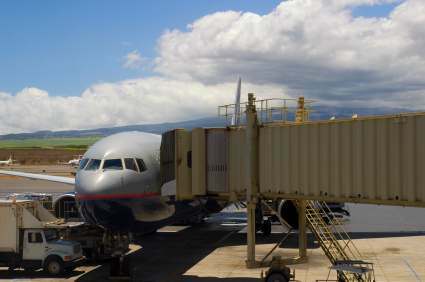 West Maui Airport) is located just 7 miles north of Lahaina, Maui, 2 miles north of Kaanapali, and 4 miles south of Kapalua Resort. When comparing these distances to the much longer drive from Kahului Airport, it becomes clear that the West Maui Airport is worth a look. First of all, this airport is much smaller than Kahului Airport. So small, in fact, that they only have ONE runway. As you can imagine, with only 1 runway, not very many flights to Maui land here in a given day... at least not when compared to Kahului Airport. In fact, at the time of this writing, they only see an average of about 300 passengers landing here in a given day! Are you expecting to get off the plane using one of these? Those long accordion-like tunnels that lead straight from the plane to the inside of the airport terminal? Well here at Kapalua Airport, you'll be disembarking from the plane via a set of stairs that leads directly onto the tarmac. If you've never done this before, Maui will be a great place to try it! It'll be awesome to feel the warm tropical air the instant you leave the plane! In addition to all this, the West Maui Airport is only allowed to operate during daylight hours. There won't be the option for you to arrive in Maui late in the evening. If you leave the plane hungry, you'll be able to find a something to eat at West Maui Airport's snack bar. Other airport amenities include a lounge, a newsstand, and a gift shop. Hawaiian airport lei greetings are not offered here... you'd have to arrive in Maui via Kahului Airport for that. Once you're ready to leave the airport, you have a few options for transportation. will list several options for Kapalua Airport pickups. All of the Maui car rental companies that offer shuttle service to the West Maui Airport have limited hours of operation. They are only open until 5pm (unlike Kahului Airport where you can pick up a rental car until 11pm). If your flight won't be landing in time to pick up your rental car, you'll have to get to your resort or Maui vacation rental by some other means, and pick up your rental car the next day. $25 Name Your Own Price Rental Car Guarantee! 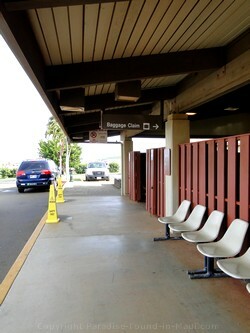 Most of the nearby major Maui resorts offer complimentary shuttles to and from this airport. This could be expensive, but in a pinch, it's a nice option to have. Here is a little Kapalua Airport fact that I was thought was kind of interesting... I thought you might too! Have you ever wondered where an airport like Kapalua Airport gets abbreviated for the airlines with a code like JHM? You know... those 3 letter codes that the airlines use to indicate what airport you'll be taking off and landing in? How on earth did they come up with THAT? Well, according to the airport's website, this airport was built by Hawaiian Airlines. Back in 1987 when the airport first opened, the president of Hawaiian Airlines was John Henry Magoon - his initials became Kapalua Airport's designator. Go to Maui Travel: How Can I Get to Maui?